The Irish Question and the subject of peace in Northern Ireland is the topic for today's radio podcast. Politics aside, I always thought there was a lot of truth in that statement from the late maverick Senator from New York. The Irish as a people have succeeded beyond our collective wildest dreams in nearly every area of life and on every continent of the world-with the notable exception (until very recently) of the very island that bore us. Americans of every stripe, creed, and color will celebrate Ireland today, and everyone will be proud to be Irish, at least for a day. The imprint of Irish culture, however, has woven its way into so many aspects of our way of life that we cannot count them. From just a Tennessee perspective alone, so much of our music, art, and even our way of thinking owes much to the Irish and Scots-Irish who settled the foothills of the Great Smoky Mountains and the Cumberland Plateau. It wasn't just Tennessee, either. If you could draw a massive line from Pennsylvania arching down through Kentucky and Tennessee into Georgia, Alabama and Mississippi, the Celtic influence in that area is massive. As others have pointed out, in spite of the Presbyterian aversion to drink, it says quite a lot about our cultural influence that one of our State's most famous landmarks is a whisky still (we actually have two of them -that are legal, that is). Kentucky is packed with distilleries from one end of that Commonwealth to the other-though several of them can be found near Bardstown, and many of those are so old that they date to the founding of the Republic itself. We are a distilling culture-if it is an edible crop, an Irishman will find a way to distill it. When our anscestors couldn't transport corn across the mountains to market, they distilled it and transported it that way. When the federal government tried to tax it, they rebelled. When the rebellion got put down anyway, a small number of them continued to make it tax free generation after generation. A deep devotion to Christianity was brought here from Ireland-it makes sense, since nearly everyone who came from Ireland learned very quickly that Jesus Christ was the only man that they could trust. Nobody can fight about religion better (or worse) than the Irish can. Most people in East Tennessee are used to the Baptists, Methodists, and Presbyterians having their differences, but as anyone who has seriously studied Irish history can tell you, differences of religious opinion are simpler, and yet much deeper than our petty quarrels. In Ireland, the matter is as simple as Catholic versus Protestant, and yet it is as deep as five centuries of animosity. As a Catholic, I am reminded daily of how successful the British almost were at wiping out the faith that St. Patrick brought to Ireland to begin with, at least in the North of Ireland. The dearth of Catholics in heavily Celtic East Tennessee is a historical result of a long process of ethnic and religious cleansing, in which the English successfully managed to not only plant Protestants in Northern Ireland, but deliberately attempt to destroy Catholicism there, often by theft or bribery. As was the nature of the English at the time, they turned on the Presbyterians that they relied on for support. In spite of Presbyterian support for the Williamites, the Ulster Presbyterians were excluded from power in the post-war agreement after the Battle of the Boyne. They suffered the same fate as the Catholics they were made to hate-exclusion. Many of them, dissolutioned with English rule and the wars they had fought, came to the New World, and a good many of those people or their decendants settled in East Tennessee. Whether it is music or food or whisky or politics, the culture of this country and of Tennessee has been forever imprinted with an Irish image. Here is a look in humor at the traditional religious divide in Ireland with one of my favorite Irish songs (The Orange and the Green) performed by one of my favorite traditional Irish bands, the Wolfe Tones. Today's radio show is, I feel, one of the most important that I have ever done, and perhaps ever will do. Today's topic is the importance of cracking down on convicted child rapists. Sharon Cobb returns to the show for a second time, but this time she comes to discuss the importance of enacting Jessica's Law in Tennessee. Sharon also corageously shares the reason that she has become so involved in this crusade to protect Tennessee's children. Kleinheider takes the side of Mike Williams in Williams' declaration that the Republican Party has "left him." Tennessee is rather unique among southern states in that it has a strong tradition of Republicanism that predates the Civil Rights era. We are a Border state. The eastern portion of Tennessee has been Republican since the party's inception. The Tennessee Republican Party has always been a party entrenched in its moderate roots. In other Southern states, conservative Democrats could basically create out of the Republican Party what they wished. Not so in Tennessee. The political realignment experienced in much of the South has been tempered in Tennessee by the original Republican Party of the East. Our Republican Party has not been created out of whole cloth in the seventies, eighties, and nineties as it was across the South. It has been a merger of traditional Republican elements with conservatives and transplants from other regions. There is some real truth to Kleinheider's analysis in this regard. The East Tennessee Republican Party has its roots in sympathy for the Federal power. This history is often reflected by the fact that the annual dinner is usually still called Lincoln Day in most East Tennessee jurisdictions, while many other places across the State and the rest of the South prefer to call their annual celebration Reagan Day. People who have what I call "old Democrats in the line" have managed to remold the Republican Party in much of the rest of the South into something that has an ideology similar to the Democratic Party of my Grandfather's time. My Granddaddy was a Democrat, his Daddy was a Democrat, and his Granddaddy was a Democrat who wore a grey uniform. My Great Uncle, who passed away recently, served as the county Tax Assessor in Fayette County, West Virginia for 23 years-as a Democrat. My Grandfather left the Democratic Party because it was not the Party of his youth. Some may say this was because of civil rights, but my Grandfather believed in equal rights for everyone and he wasn't opposed to insuring that everyone was equal under the law. What my Grandfather was concerned with was undue expansion of the federal government. The Democratic Party used to defend federalism, defend the Constitution, and defend the rights of the States. Because they have abandoned that mentality in so many ways (in so many areas of policy), many former Democrats crossed over. This changed the ideological complexion of the Republican Party-especially in the South. Because my Grandfather switched, his children tended to vote Republican, and I am a Republican. The Tennessee Republican Party has been impacted by this change because ideological decendants of the old bluebellies must find a way to live in the same party with the ideological decendants of the old greybellies. A.C. is also right that demographic shifts and migration have impacted the Republican Party and made it much more conservative. What I do not buy is Mike Williams' excuse that the Party has left him. He ran as a conservative, not as a "moderate," but what he has done in Nashville is quite different than how he ran for office. If I am going to vote for a so-called moderate, I would rather vote for one that is honest about who and what they are, as opposed to someone who says one thing and does something else. Today's radio podcast discusses State Senator Mike Williams' party abandonment and the letter from the Republican Leadership in the General Assembly to former Senator Fred Thompson encouraging him to run for President. Tennessee's Republican Legislative Leadership has sent Fred Thompson a letter encouraging Thompson to run for President. This is as close to an endorsement as Thompson can get by the entire GOP apparatus without actually announcing. Is Williams really that clueless? "The parties don't need to come down here to the Capitol and dictate policy." Williams (and everyone else) may decry what they deem as excessive partisanship in government, but the very purpose of political parties, aside from gaining power, is the formulation of policies upon which that power is based. Mike Williams, if what he says is to be believed (and that is questionable), lives in a fantasy world where parties need not exist and ought not exist. I generally agree with Kleinheider's supposition that our political parties should be used as a means to an end. I am not a Republican because I have an undying love for the Republican Party. I am a Republican because I am a conservative person who loves America, and I happen to believe that conservative ideas and policies are what is best for Tennessee and America. The Republican Party, though far from perfect, is the best vehicle to advance those ideas. If I thought the best party to advance those ideas in 2007 were the Democrats, I would be a Democrat. If I thought the best party to advance those ideas were the Whigs, I would be a Whig. If Mike Williams studies history with any depth (something that I somehow think is over his head) then he would know that this country tried the non-partisan experiment at its founding. It didn't last very long. People in government developed strong differences of opinion about the direction of the country, so strong that they could not work together within the same cabinet or governing body. They had to separate and divide not to the country's detriment, but so that the debate over these issues could be carried on in such a way that people could clearly see the two sides and what they stood for. The creation of factions, which leads ultimately to the creation of parties, is a fact of life in a free government and in a free society. James Madison said it best when he said that "liberty is to faction as air is to fire." Even our Congressional independents caucus with a party. Parties exist to gain power and to formulate policy, so to make a statement like "the parties don't need to come here and dictate policy" is the most absolutely ignorant, utterly stupid, and profoundly foolish thing I have ever heard come out of the mouth of an elected official. Why? If this is what this man really thinks, than it wasn't a lapse in judgement (see Joe Biden), it wasn't a duh moment-if he really believes that, then he is really that clueless, and he has thus far been lucky that up to this point in his career his lack of ability to comprehend reality hasn't already backfired. If he really believes this load of crap he is spooning to the press, than the man is not to be scorned-he is to be pitied, and must be removed from office before he poses a danger to himself. As for how the Democrats are handling Williams' decision, their reaction is to be expected. Either Williams is a closet Democrat, or he believes the lines that he is feeding to others, in which case he is being used as a pawn in the political chess game that is the Tennessee Senate. In the end, all Williams has shown is that he is a man with no ideas who likes being other people's pawn and whipping boy. As if Mike Williams hasn't stabbed those of us who are his constituents in the back enough, he has now left the Republican Party. Can you say Senator-elect Faulk, boys and girls? I can now be assured that if Mike Faulk runs he will be the Republican nominee-and equally assured that Williams is going down. 1. The defeat of Senator Shea Flinn's liquor sales bill. 2. Harold Ford Jr.'s new gig with Fox News. Note: Toward the end of the show there is a lengthy interruption while I took a phone call-However, this was a very important call from Nashville that I felt it prudent to take, so please bear with me. On very rare occasions I find myself in agreement with Democrats, and the failure of State Senator Shea Flinn's bill to legalize the sale of wine and liquor in grocery stores and the reasons for that failure are one of the few times you will find Davidson County Young Democrats' Chairman Sean Braisted and I come to agreement. I disagree with Flinn about liquor sales on Sunday, largely because I'm old fashioned and I do not believe the Lord's Day, a day when much of this State is inclined to Divine Service, is a day when the bars and liquor stores should be open (then again, if it were up to me, most things would be closed on Sunday whether alcohol is served or not, and I am proud to live in a community where that is still largely the case), but I would have voted for the bill based on the larger principle involved: If the local Food City wants to sell Jack Daniel's or Beefeater, or a good bottle of Merlot they ought to have the right and I ought to have the choice whether or not to buy it there. Sen. Tim Burchett, R-Knoxville, a member of the panel, said he opposed the bills out of concern for encouraging alcohol use by youth. Juveniles are already obtaining alcohol illegally, he said, and "I just don't want to open up any more avenues." Putting wine into the mix of busy supermarkets, Burchett said, would be a "recipe for disaster." Before I say what I am about to say, let me preface it by saying that I have a lot of respect for Senator Burchett (in spite of his vote for John Wilder at the beginning of the last session). How can you not respect a man who is unafraid to use his gun? With that said, I will not unceremoniously ask Tim Burchett: Will you please cut the crap? This was not about keeping alcohol out of the hands of juveniles, this was about the fact that there were two big-time liquor industry lobbyists at this gathering: Tom "Golden Goose" Hensley, the major lobbyist for the liquor wholesalers association, and David McMahan, the lobbyist for the liquor retailers association. Both parties want things the way they are, because as things stand, the wholesalers can jack up prices, while the retailers have no competition. This bill was not defeated out of any concern for keeping alcohol out of the hands of kids, this bill was defeated because powerful lobbyists and interest groups engineered the bill's defeat. Let us be honest with the public about the role that paid lobbyists have in the passage or defeat of legislation. The Democrats have always been keen on hiding that reality. It may not change the system of things, but let's not hide that fact any longer with a bunch of meaningless tripe. The reality is that A.) The sale of wine at the grocery store will not destroy mom and pop liquor stores because if you want the hard stuff (greater than 21 proof) you will only be able to get that at a liquor store, the manufacturers will see to that. B.) Though I am sympathetic to the liquor store operators' desire for Sunday off (and a bill that I wrote would have included that provision), had this bill passed, who says that mom and pop couldn't close on Sunday of their own volition? If the product selection is good and the price is right, it will not hurt their business all that badly. As for keeping alcohol out of the hands of juveniles-trust me, the grocery chains will be extremely zealous in carding, they do not want the bad publicity of selling to any minors. How do I know this? Well, a few days ago when I wrote about taxation, I wrote of my terrible experience with taxes living in Cincinnati. One of the few things that was not terrible was that I could get good wine at the grocery store on the cheap. I do not remember ever not being carded, not once was I not asked for I.D., and I bought wine at the grocery all the time-and it was pretty obvious that I was over 21. So cut the smokescreen, just admit that y'all scuttled the bill because of the liquor lobbyists-that was the real reason, and we all know it. I may not agree with it, but I can at least respect you for it. Quit hiding behind these less-than-real-sounding moral concerns and just tell the truth. Today's radio podcast is yet another discussion on Presidential politics: Important issues in the Presidential race. At his request, Matt Daley, my regular sports co-host, joined the show with his thoughts today. This week: Sharon Cobb returns to discuss Jessica's Law. I must level with my readers that as a practicing and churchgoing Catholic who is as active as I am physically able to be in the affairs of my parish (most notably as a Knight of Columbus) that I attend with many Hispanic people. Nearly all of the Hispanics that you see active in parish affairs are here legally-we know this because for many of them to be so active in the parish they pretty much have to be. The legals (at least the men) very often not only join the Knights but tend to become very active in the organization. This is because in Mexico, membership in the Knights of Columbus is very often the perview of the land-holding upper-class, the remnants of the Spanish aristocracy. For many of these immigrants, membership in the K of C is seen as a major status symbol. In our world, it merely is a signal that a man is probably a pretty good Catholic and if he is active, he is really involved in the Church. To them, it is still a symbol of wealth, power, and status-a misassumption we are trying but have thus far failed to correct. It is the ones you see come to Mass but do not see at any other time, or do not see except on Holy Days are very often the illegals. They have enough fear of La Migra that they don't want their names associated with anything that gets publicized in the community and they especially do not want on the official parish roles. Nonetheless, I have encountered many people at church that I suspected were not here in a legal capacity, but I have no way to prove it. 1. The Mexican government does nothing to stop the tide of illegals because these are people that Mexico deems to be undesirable. It is a peculiar form of ethic cleansing that basically says "we do not want you here, so we will send you to the U.S. where you will work for what seems like a lot of money but is really a substandard wage-some would call it a slave wage. To be rid of you, we will tell you how to obtain social services in the U.S." These folks have lived as second-class citizens in Mexico, and are coming to the U.S. to live and/or work as essentially third-class citizens-people with no country. These people are largely of Native American ethnic origin, and believe me, the government officials in Mexico and other Latin American countries (who come from the Spanish/Castilian upper classes) would rather be rid of them. In failing to enforce our own immigration laws, the United States are complicit in this "ethnic cleansing by emigration." 2. When they come to the United States illegally and are not punished for violating the law, it teaches the new arrivals that in America the law is irrelevant, the police power can and should be ignored, and that obedience to lawful and constitutional authority is a matter of choice-a choice that, should one choose not to obey, one will suffer no adverse consequences for. In failing to enforce the laws we have already on the books, the federal government is sending immigrants the wrong message about America: That breaking the law is just fine in our country, and that anyone can come here-even a criminal. Since the federal government chooses not to deal with the issue and our Republican President has charted a course which stands to make the problem worse, it is now up to States and localities to address the immigration crisis. That is why I support a series of bills in the Tennessee General Assembly that would make it a felony to knowingly hire an undocumented alien, allow the State of Tennessee to revoke the business licence of anyone who hires an undocumented alien, and force landlords and renters to verify the immigration status of tenants and prohibits the sale of land to illegals. There are also bills that make it a crime to transport an illegal alien into Tennessee, require public employers to verify immigration status, and prohibit foreign money transfers without proof of legal status. It is time for the State to do its part to bring an end to a system that not only encourages people to break the law, but does something far worse: It creates a permanent underclass made up of people who are not citizens, and therefore do not have recourse to the Constitution, as a citizen does, to protect their rights. The present state of affairs creates a new slave class with the full blessing of the Chamber of Commerce. Immigrants must be made to abide by the law, but so must the people who exploit them inhumanely. Today's radio podcast is a sports special on the NCAA Tournament pairings and our predictions with guest co-host Matt Daley. Well, no one wanted to believe me when I said that I thought there was something to all of this Fred Thompson for President talk. Things looked a little suspicious to me when The Hotline floated this as a non-story and then Thompson's name starts popping up in respected conservative publications as a viable and winnable alternative to Rudy McRomney. Then the talk gets really loud when we hear rumors that Howard Baker, Jr., East Tennessee's GOP establishment big boy, and the grand old man of Volunteer State Republicans, is making a few phone calls on Fred Thompson's behalf. Now, no matter what you think of Howard Baker-whether you think he is the greatest thing since sliced bread, or you are a liberal Democrat who hates him, or you think as I do that his prime concern is victory all the time at whatever cost-Howard Baker has three things that are of help to any late-entering Presidential candidate. The first is that as a former Senate Republican Leader, he has a level of respect that other politicos would not have. The second is his access to channels of big time cash-he can raise lots of it. The third thing is that he has highly-placed friends and he can change minds and win endorsements. If Howard Baker is making calls for you, you will have the resources you need to begin a major campaign. The rumors, carried on in no small part by the blogosphere, picked up steam when Howard Baker admits to the Knoxville News-Sentinel that he is, in fact, making the calls in question and that this is therefore no rumor at all. Finally, Fred Thompson himself appears on Fox News Sunday yesterday where we learn that he is indeed thinking about a run for the White House. Thompson wanted to sound non-commital but he did a poor job of it. He even tried to say that his thinking about a candidacy has nothing to do with the poor field being offered to conservatives-I do not buy this for a second. I think Thompson knows that conservatives-especially Southern conservatives-are hungry for a candidate that they can embrace with a clear conscience, knowing that his conservatism cannot be questioned, but also believing that he has a very good chance at actually winning. Whether he decides to formally enter the race or not, Fred Thompson knows that a whole lot of people would back him immediately. He would make a great candidate because, being out of government for the last seven years, he cannot be tied to all of the blunders of the current administration. 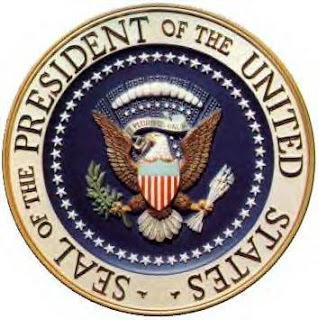 I said earlier that I am not yet ready to make an endorsement for the Presidency, and I stand by that. However, my endorsement will likely be of little consequence other than the fact that I will lend what small assistance that I am able to the campaign of the candidate that I do endorse. 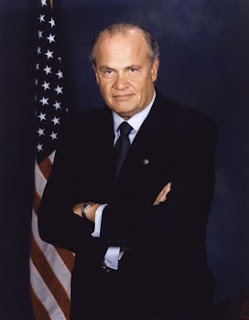 What I can say is that if Fred Thompson enters the Presidential race, I know what I believe will happen regardless of who I endorse. Today's Sunday Sports Final is a special edition for NCAA Selection Sunday, as Matt Daley and I discuss possible tournament seeds for the NCAA Basketball Championship. You can watch the official tournament selection show tonight at 6pm on CBS. Today I have a short discussion of the Knights of Columbus' upcoming Supreme Convention in August. This year it is being held in Nashville. Note: I will post the sports show in just a bit. Listeners to my radio podcast may remember last week when I prayed the Holy Rosary on the air. Today I am offering a far better rendition of the Rosary than what I could produce. This Scriptural Rosary, with beautiful artwork and with the corresponding readings of scriptural passages, originally aired on EWTN. It is a beautiful meditation, and for those of you not familiar with the Rosary, this manner is a far better way to demonstrate this beautiful, important, and very powerful prayer. I will be at the front of the line to testify to the reality that prayer intentions taken to the rosary get answered. Since it is Lent, I again chose the Sorrowful Mysteries.